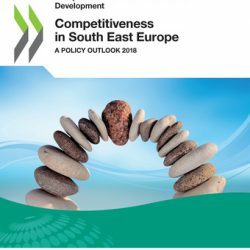 The second edition of Competitiveness in South East Europe: A Policy Outlook seeks to help SEE policy makers assess progress made towards their growth goals and benchmark them against regional peers and OECD good practices. The 17 policy dimensions addressed in this report encompass a wide range of areas key to economic competitiveness including the business environment, skills and capacity, the region’s economic structure and its governance. In 2017 WB EDIF published its first collection of stories from the Region. This booklet also gives a concise overview of the WB EDIF platform and main targets. This toolkit is aimed at releasing investment opportunities and unlocking commercial and funding potential in intangible and intellectual property (IP) assets in the Western Balkans. 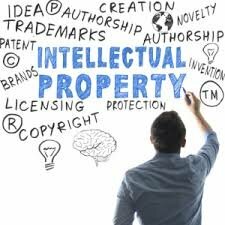 The toolkit provides a mixture of educational material, templates and resources that will enable SMEs to understand the importance of IP and implement suitable IP processes and strategies for their specific circumstances. 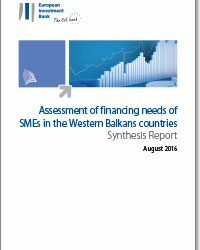 In 2016 the EIB commissioned a study to assesses the financing needs of the SMEs in the Western Balkans countries and the market failures that are constraining the development of the SME sector.